Peter Jones is Director of the NIHR CLAHRC for Cambridgeshire and Peterborough. He is Professor of Psychiatry and head of the department of psychiatry at the University of Cambridge. 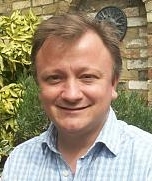 Clinically, he is one of the consultants to the local early intervention in psychosis team, CAMEO (www.cameo.nhs.uk), an example of research implementation and the synergies that can be developed through close integration of research and practice; CAMEO was established in 2002 and won the national team of the year award in 2007. His research interests as an epidemiologist are at the interface between biological and social models of mental illness, particularly concerning early developmental, adolescent and early adult life. He was the clinical lead for the East Anglia Hub of the mental health research network, 2005-2009, is the national lead for the Royal College of Psychiatrists early intervention network, and is a director of the recently formed Cambridge University Health Partners, the AHSC for Cambridge. Angela joined the CLAHRC in April 2012 from the East Anglia Hub of the Mental Health Research Network which she managed for four years. Her background is in social care, where she worked as a care manager, and as a team leader for home care in community-based services for older people, run by Huntingdonshire Primary Care Trust. She also managed Warboys and District Day Care Centre for older people on behalf of a local charity. Before that, she had worked for seven years at a local water company within the Facilities and Company Secretariat departments. She gained a first degree in Psychology from the University of York, has an MSc in Psychology, and a Professional Diploma in Management from the Open University. She has previously been involved in research, looking at social group formations within an older people’s day care setting, and young children’s predictive reading abilities. 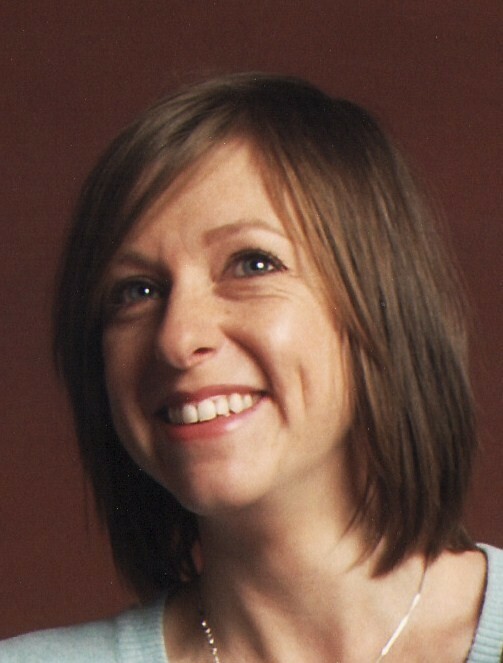 Lea Wood joined the CLAHRC CP in July 2011. She is the CLAHRC Administrator and deals with all general enquires, expenses claims, conference bookings and other administrative issues. She previously worked in the physical disability team at Cambridgeshire County Council and has held administration roles in the private and public sector. Jane is a Senior Lecturer in Social Work at Anglia Ruskin University, leading post-qualifying social work education in child care. 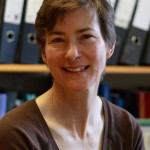 She conducted research into family functioning in shy children and adult attachment with the MRC group on the Integration and Development of Behaviour at Cambridge University and has continued to research and publish on family therapy and parenting support working with Parentline and Home-Start. 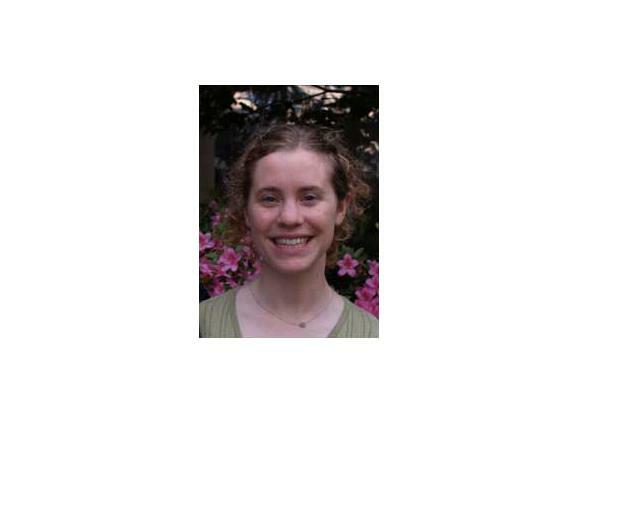 She was on the editorial board of the Journal of Family Therapy for eight years, has twice been a visiting research associate at Brown University with the McMaster Family Therapy Group and has recently completed a series of consultations on Children’s Centres in the European Region. Adolescent and Childhood Autism Spectrum Quotient, and the prevalence of autism spectrum conditions in primary schools (CAST). Simon Baron-Cohen is Professor of Developmental Psychopathology at the University of Cambridge and Fellow at Trinity College, Cambridge. He is Director of the Autism Research Centre (ARC) in Cambridge. He holds degrees in Human Sciences from New College, Oxford, a PhD in Psychology from UCL, and an M.Phil in Clinical Psychology at the Institute of Psychiatry. He held lectureships in both of these departments in London before moving to Cambridge in 1994. He is also Director of CLASS (Cambridge Lifespan Asperger Syndrome Service), a clinic for adults with suspected AS. He has been awarded prizes from the American Psychological Association, the British Association for the Advancement of Science (BA), and the British Psychological Society (BPS) for this research into autism. For 2007 he is president of the Psychology Section of the BA, Vice President of the National Autistic Society, and received the 2006 Presidents’ Award for Distinguished Conributions to Psychological Knowledge from the BPS. His current research is testing the ‘extreme male brain’ theory of autism at the neural, endocrine and genetic levels. 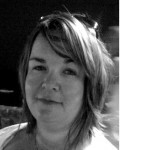 Valerie Dunn is a Research Associate at the University and, for the CLAHRC, TC17 Project Coordinator. She has worked in mental health research for over 20 years and began her research career in Oxford with Professor Chris Fairburn on a large epidemiological study of eating disorders. This sparked her interest in community mental health. In Oxford she co-designed a school-based intervention aimed at eating disorder prevention in teenager girls and has since largely specialised in adolescent mental health. Valerie is Project Coordinator for the ROOTS Project, a large community study tracking over 1000 14-year olds through adolescence to examine risk factors for common emotional and behavioural problem. Professor Ian Goodyer is co-theme lead of the Child and Adolescent research theme in CLAHRC CP. He is a Child and Adolescent Psychiatrist pursuing research into the connections between human development and psychopathology. He is particularly interested in the relations between genetics, endocrine physiology and emotion processes. How psychoendocrine processes influence the liability and outcome of emotional and behavioural disorders over the first two decades of life is the clinical focus of interest. His studies are centred on children and adolescents in the community as well as current patients and their relatives. His groups’ designs involve experimental approaches to measuring feelings and thoughts, salivary analyses of circulating hormones, genetic psychophysiological and neuroimaging techniques of brain-behaviour relationships. They use these methods and technicques in longitudinal studies and randomised controlled trials. They collaborate with a number of other research groups in Cambridge including the MRC Cognitive and Brain Sciences Unit, Wolfson Brain Imaging Unit, and the Behavioural and clinical Neurosciences Institute and MRC Enviornmental Research Unit. They undertake randomised controlled trials in children and adolescents with anxiety, depression and conduct disorder. Currently they have a partnership with University College London within which they run the two largest trials yet conducted in young people. A relapse prevention trial in depressed adolescents (the IMPACT study : www.impacttrial.org.uk) and a pragmatic effectiveness trial for children at risk of exclusion from their families because of severe conduct disorder the START trial. They have completed a prospective study of adolescent development from 14 through to18 years of age. This study is known as ROOTS (www.roots-group.org.uk) and involved 1200 young people and their families. Jessica gained her undergraduate degree in Neuroscience and Psychology, in 2010 from Oxford University. She worked as an Early Years Support Teacher in a Primary School and as a Learning Resources Manager in a Secondary school after completing her degree and then went on to move to London to study for a Masters degree. She gained her MSc in Mental Health from the Institute of Psychiatry, King’s College London earlier this year and moved to Cambridgeshire before starting her current role in Cambridge University Department of Psychiatry. 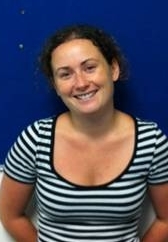 Michelle is currently a research associate on the child and adolescent theme. She completed an MSc and PhD at the University of York. She then moved to the University of Manchester to work on the Manchester Language study investigating the development of children with Specific Language Impairments. In 2010, she moved to her current position and is investigating factors associated with adolescent psychiatric disorders, working mainly with ROOTS project. Sharon is currently investigating adolescent wellbeing, analyzing data from the ROOTS study. Having previously been a research associate in obstetrics, psychiatry, public health, and developmental psychology, Sharon brings to ROOTS her interests in the influences of pre- and perinatal factors, childhood trauma, lifestyle, and psychological functioning on adolescent development and wellbeing. Matt joined the Department of Psychiatry and the Child & Adolescent Theme of the Cambridge and Peterborough CLAHRC in 2009, after completing an MSc in Research Methods and Statistics and a PhD in Psychology from the University of Southampton. His PhD work focused on how cognitive, emotional and physiological factors contribute to academic performance in young people. He is now involved in the design and planning of several CLAHRC projects and analysing data from a number of different studies. My research involves investigating the development of temperament and personality in adolescents. In particular how different temperamental styles might be associated with later personality functioning. In addition to this I will explore how personality may interact with symptomatology to inform levels of service use and engagement with mental health provision in adolescents. Mike’s research interests include the scientific investigation of psychiatric disorders of childhood and adolescence – particularly through the use of neuroimaging techniques. He is also a member of the Autism Research Centre. Paul’s research is around the subject of adolescent depression; in particular how these psychological variables differ between depressed adolescents and controls, how they are related and how they are changed by specific treatment. He has worked on treatment studies of adolescent depression and is currently applying for research fellowships investigating how genes, early adolescent cognitive styles and acute and chronic social stress interact in the onset and persistence of depression. Jessica recently completed a Masters degree in Mental Health at the Institute of Psychiatry, King’s College London after her undergraduate degree in Psychology and Neuroscience at Oxford University. Jessica is currently working on the Transfer of Care at 17 project (TC17). This longitudinal study followed young people at a transition period in child and adolescent mental health and foster care services, and the aim of Jessica’s work is to analyse the data collected to explore factors involved in successful transition and outcomes in mental health. Erica graduated from Anglia Ruskin University in 2010 with a BSc (Hons) in Psychology, and then completed an MSc in Reading, Language and Cognition at the University of York. Throughout Erica’s studies she has developed a strong interest in specific learning disabilities, and have been working on research projects investigating the educational impact of memory and reading disabilities in children. 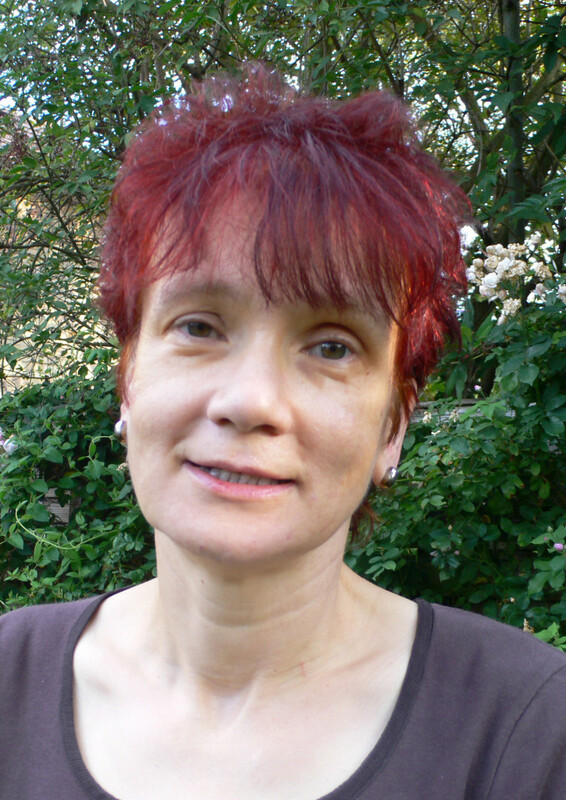 She joined the CIDDRG in March 2012, to work with the Adult Theme of the NIHR’s CLAHRC for Cambridgeshire and Peterborough. She is based primarily in the Intellectual Disabilities (learning disabilities) stream, where she supports a number of projects related to identifying and establishing how best community-based teams can meet the needs of adults with intellectual disabilities and additional complex difficulties. Sallyanne joined the Cambridgeshire Learning Disability Partnership (LDP) in 1995, and is currently working as a Senior Community Learning Disabilities Nurse (RNLD) within the Fenland Integrated Team. In 2000, she was awarded a Department of Health Primary Care Enterprise Award, which she used to facilitate a randomised controlled study to improve understanding of the cervical smear test among women with intellectual disabilities. Based, in part, on this work, she was awarded an MSc in Research from the Faculty of Health and Social Care at Hatfield University.She is seconded on a part-time basis from her clinical post to work as a Practitioner Researcher with the Adult Theme of the NIHR CLAHRC. With colleagues, she is primarily responsible for collecting data from service users, their carers, and staff, and for developing and maintaining the engagement of health and social care members of the community LD teams. My research interests reflect my academic background in psychology and criminology and my professional and personal experiences as a clinical and forensic psychologist with men and women with intellectual and other developmental disabilities. At present, my main interests lie: a) at the intersection of clinical and legal studies, with recent studies focussing on the conceptualisation and implementation of different aspects of the Mental Capacity Act 2005; people with intellectual or other developmental disabilities (particularly autism spectrum conditions) as suspects, perpetrators, witnesses, and victims of exploitation, abuse, criminal offending or ‘challenging behaviour’; b) in topics relating to ‘moral’ and other everyday decision-making by people with intellectual or other developmental disabilities; c) in service provision for, and responses to, adults with intellectual disabilities and mental health needs and/or behavioural difficulties. I am a member of one of the three clinical themes, the ‘adult’ theme, which forms part of the NIHR’s CLAHRC for Cambridgeshire and Peterborough, and aims to identify good practice in specialist health care provision for men and women, who, because of a long-term condition, are at risk of social exclusion. Mark’s academic background is in political sciences (B.A., Newcastle University) and management and leadership in health and social care (M.A., Leeds University). He also holds a Diploma from the Institute of Health Service Management. He is now the Senior Manager for Specialist Learning Disability Services, in Cambridgeshire and Peterborough NHS Foundation Trust. Before moving to his current post, He managed the delivery of mental health, forensic and learning disabilities services in a number of healthcare settings in Northumberland, East Yorkshire, Nottinghamshire, East London, and Leicestershire. He has a keen interest in health care systems, leadership and organisational culture. Mark is seconded on a part-time basis to the CLAHRC , where he works closely with Isabel Clare and others to support the development and implementation of the learning disabilities ‘stream’ of the Adult Theme. Tony Holland trained in medicine at the University of London, UK, and later trained in psychiatry at the Institute of Psychiatry and Maudsley Hospital, London. As a clinician he specialises in the assessment and treatment of psychiatric and behavioural problems of people with intellectual disability. He leads a research group that has undertaken many published studies on Prader Willi Syndrome investigating the nature of and reasons for the eating disorder and other behavioural, psychiatric, and physical problems associated with the syndrome. He is psychiatric adviser to the UK PWS Association and also their President. 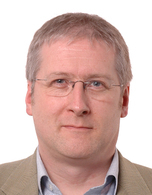 He is the scientific representative for the UK PWS Association on the Board of the International PWS Organisation (IPSWO).Two main areas of Professor Holland’s research interest include: first, investigating the relationship between particular genetic syndromes and associated psychiatric and behavioural disorders (e.g. Prader-Willi Syndrome and over-eating, and Down’s Syndrome and Alzheimer’s disease) and, secondly, clinico-legal studies, including studies investigating the capacity of people with learning disabilities to make particular decisions. Professor Holland leads the adult clinical theme of the CLAHRC. This theme is specifically concerned with the needs of adults with intellectual disabilities and those with acquired brain injury. Liz is one of the Practitioner Researchers for the CLAHRC. Her background is in nursing: She trained as a Registered General Nurse at Addenbrooke’s Hospital, and later as a Registered Nurse in Learning Disabilities at the Ida Darwin, which was then a long-stay hospital for children and adults with severe intellectual disabilities. Liz has worked in local community-based services for many years, mostly as a member of South Cambs. Community LD Team, focusing particularly on working with men and women with behaviour that ‘challenges’ services, the management of epilepsy (with Dr Howard Ring and others), and, more recently, the use of a ‘family therapy’ approach. With colleagues, She is primarily responsible for collecting data from service users, their carers, and staff, and for developing and maintaining the engagement of health and social care members of the community LD teams. Alison qualified as an Occupational Therapist, in 1994, Since then she has worked predominantly with people with intellectual disabilities, most recently as a Clinical Specialist Occupational Therapist within the Peterborough Learning Disability service. She is particularly interested in working with those whose behaviour challenges services or who are parents, and in the roles of different practitioners within specialist teams for people with intellectual disabilities. Her research has been closely related to these interests. She gained an M.Sc. in Occupational Therapy, and, with David Haines, recently completed a national study, commissioned by the College of Occupational Therapists, of the role of the discipline with people with intellectual disabilities. 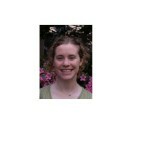 Emma joined the Cambridge Intellectual and Developmental Disabilities Research Group in May, 2009. Before this, she was at the University of Ulster at Coleraine, where she completed her Ph.D. In her thesis she used a qualitative perspective within a quantitative framework to examine retrospective accounts, and the perceived long-term consequences, of being bullied at school. Before this, she gained an Honours degree in Social Psychology, also from the University of Ulster at Coleraine, and a Diploma in Industrial Studies, awarded following a research placement based in the School of Nursing, University of Ulster at Jordanstown. During this placement, she was involved in several projects relating to people with intellectual disabilities, including investigations of their careers experiences, the prevalence of intellectual disabilities in Northern Ireland, current day service provision, future housing needs, and parental reactions to mainstream education and the statementing process for pupils with special educational needs. Emma is now working with Professor Tony Holland and Dr Isabel Clare as a Research Associate on the Adult Theme for the CLAHRC. Howard’s Current research projects are focused on epilepsy and on autistic spectrum disorders. In the field of epilepsy, he is investigating the nature of epilepsy as it presents to locality-based psychiatric learning disability services and investigating the effects of different treatment approaches. He is also researching the relationship between psychopathological disturbances in people with epilepsy and brain pathology assessed along several axis. In people with autism he is using electrophysiological and functional imaging approaches to investigate language and the way in which differences in semantic processes can be manipulated by external factors. Howard is also involved in research using physical and neurocognitive methods to examine manifestations of weak central coherence in people with autism. Sara graduated from the University of Bristol in 2007 with a BSc in Experimental Psychology, and in 2008, with an MSc in Neuropsychology. During her Masters degree and for six months after graduating, She worked as a Research Assistant in the Department of Experimental Psychology Department at the University of Bristol, with Dr. Christine Mohr. She worked on a project exploring individual differences in cognition, personality and creativity. 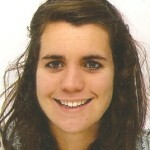 She joined the CIDDRG in May 2009, as a Research Assistant. Funded by the CLAHRC for Cambridgeshire & Peterborough, to work with Dr. Isabel Clare.She has been awarded a CLAHRC funded PhD Studentship andis currently working with Dr. Andrew Bateman at the Oliver Zangwill Centre, Ely, and Dr. Howard Ring, on a project exploring new interventions for the rehabilitation of acquired brain injury, in particular executive dysfunction. Adam joined CIDDRG after completing a Ph.D. in statistics. While he provides support to a number of projects, the main focus of his work lies in providing a range of different types of statistical support and analysis to projects carried out by the Adult Theme of the NIHR CLAHRC for Cambridgeshire & Peterborough. This means that he works across a wide array of projects researching the lives and experiences of people with intellectual disabilities, and those who support them, from carers to practitioners in the local clinical services. 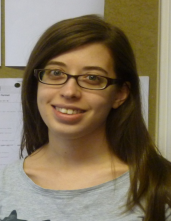 Sarah joined the CLAHRC after previously working as an assistant psychologist at Ida Darwin. She worked there from May 2009 specialising in working with adults with learning disabilities. Sarah originally studied Psychology at Cardiff University, before working in behavioral support with autistic adults in Gloustershire. At the CLAHRC Sarah is involved in a range of different projects and tasks including data input, data collection and working closely with Dr Isabel Clare on a variety of different projects. Marcus is a Senior Research Associate in the Cambridge Intellectual and Development Disabilities Research Group within the Department of Psychiatry. He has a particular research interest in citizenship and the human rights of adults with intellectual disabilities. 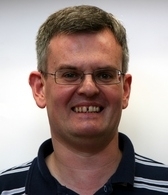 His publications include: Redley M (2009) Understanding the social exclusion and stalled welfare of citizens with learning disabilities, Disability & Society, 24, 4 489:501; Redley M (2008) Citizens with learning disabilities and the right to vote, Disability & Society, 23, 4 375-384; Redley M and Weinberg D (2007) Learning disability and the limits of liberal citizenship: Interactional impediments to political empowerment, Sociology of Health and Illness, 29, 5, 767-786. Stephen’s pre-clinical training was in Cambridge and his clinical training in Oxford, from where he qualified in 1981. After GP training in Bristol he started GP work in a market town practice in the Cambridgeshire Fens and then in 1990 moved to East Barnwell Health Centre in Cambridge, a practice with a long history of teaching medical students, GP training and research, where he is now Senior Partner. Stephen is an Honorary Senior Lecturer in Primary Palliative Care at the Department of Palliative Care and Policy at King’s College Medical School London, a Senior Scholar at Trinity Hall, Cambridge, a member of the National Cancer Reserach Institute Primary Care Clinical Studies Development Group (and co-chair of the Primary Palliative Care studies subgroup). Sue Boase has a background in primary care nursing working for 10 years as a practice nurse. Subsequently she moved into primary care research working at the General Practice and Primary Care Research Unit, Cambridge. She has worked on studies focusing on behavioural interventions and prevention of chronic disease particularly Type 2 diabetes. She has recently started work as a Research Associate on the CAPE (Community cAre Pathways at the End of Life) Study with Stephen Barclay. Since January 2010, Erica has been working on her CLAHRC-funded PhD about choice and end of life care in the UK. She is a trained anthropologist (BA, MA research methods) and uses social science methods and theories in her work. Her past research interests have been wide ranging, including studying issues around advocacy and ethics in research of sensitive topics (using infanticide in Ghana and female circumcision as examples) as well as social networks and the spread of information in a small American town. 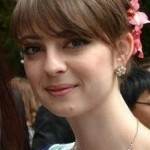 She is also part of the Social Analysis of Health Network and part of the 2010/2011 CRASSH Health and Welfare research group in Cambridge.Within the CLAHRC EOLC team, Erica encourages her colleagues to think more critically about some of the topics and papers, and enjoys discussions which draw on people’s (research) experiences and social theories. 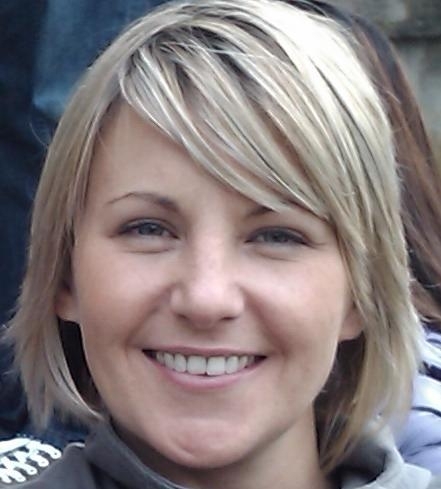 Gemma Clarke is a Research Associate in the CLAHRC End of Life Theme. She is currently leading a project examining decision-making concerning artificial nutrition for those at risk of lacking capacity due to dementia, intellectual disability or acquired brain injury. The project spans both the End of Life and Adult CLAHRC themes. 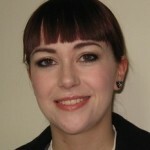 Before joining CLAHRC, Gemma completed a PhD at the Institute of Criminology, University of Cambridge. Her doctoral dissertation examined drug and alcohol related sexual assaults and the relationship between intoxication and capacity to give sexual consent. Previously she has worked as a Research Assistant at the Institute for Criminal Policy Research, King’s College London on the project ‘Young People, Interventions and the Secure Estate’, as a Research Fellow at the John W. Kluge Center, Library of Congress, Washington, D.C., and as an intern at the Ministry of Justice. Morag has worked in health services research for 25 years, with the majority focused on palliative and supportive care. She has worked various research projects including service evaluations (e.g. practice nurses, paediatric A&E, midwifery teams, and breathlessness interventions) and studies of patient and carer experiences (e.g. in old age, cancer, and breathlessness). A graduate nurse (King’s College London), Morag completed a Masters in Medical Sociology (Royal Holloway & Bedford New College) and a PhD (QMUL) on the definition and measurement of quality of life in older people. Research interests include palliative care, quality of life, older people, informal carers, service evaluation, breathlessness and the use of mixed methods (qualitative and quantitative). 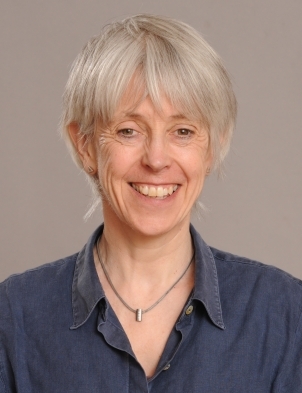 Morag is a Senior Research Associate with the CLAHRC and Macmillan Cancer Support Post-Doctoral Research Fellow in the Department of Public Health & Primary Care, University of Cambridge. Angela is secretary to Dr Stephen Barclay and provides administrative support to the End of Life Care Research Team.This includes coordinating activities for the team, the setting up of meetings with wider researchers and the stakeholder community, managing/collecting data and resources for the team.She also works closely with the wider CLAHRC administrative and coordinating teams. 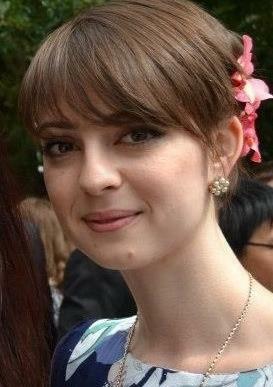 Sarah Hoare – Research Assistant, End of Life Care theme. 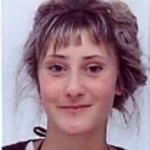 Sarah Hoare is a Research Assistant working with Dr Stephen Barclay on the ACE study. ACE explores hospital admissions of patients close to the end of life from the perspective of key decision-makers involved in their care. Before joining CLAHRC Sarah completed an MPhil in Educational Research at Trinity Hall, University of Cambridge and has a bachelor’s degree in Politics and Sociology from the University of Exeter. Emily Moran – Research Assistant, End of Life Care theme. Emily is currently working on the Community cAre Pathways at the End of Life (CAPE) study alongside Stephen Barclay and Sue Boase. This is a mixed methods study examining the care patients receive in the last 12 months of life. 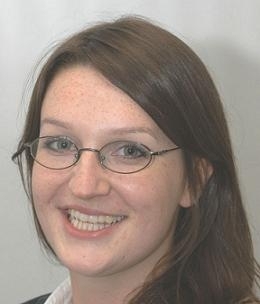 Before joining the University of Cambridge, Emily had been working for a private psychiatric healthcare provider, both in a research and a clinical capacity, carrying out assessments and delivering psychological interventions to male inpatients with a view to rehabilitating them into society. Emily graduated from the University of Bath in 2009 with a BSc First Class Honours in Psychology. 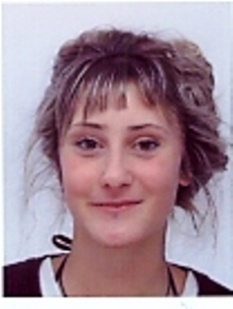 As part of this degree she completed a year placement at Keele University undertaking cognitive research relating to the phenomenon of false memory. Aileen qualified as a nurse in Leeds after completing her first degree in Biomedical Sciences at the University of Bradford. She came to CLAHRC funded research after working as a Senior Lecturer at Anglia Ruskin University for twelve years where she lectured and supervised both undergraduate and post graduate students. She completed a Doctorate in Medical Ethics at Keele University and is working on a project that is closely aligned to the ethical questions that were addressed in her Doctoral thesis. John Clarkson was appointed director of the Engineering Design Centre in 1997 and became a Cambridge University Professor in 2004. John is directly involved in the teaching of design at all levels of the undergraduate course. His research interests are in the general area of engineering design, particularly the develpoment of design methodologies to address issues, for example, process management, change management, healthcare design and inclusive design. As well as publishing over 400 papers, he has written a number of books on medical equipment design and inclusive design. 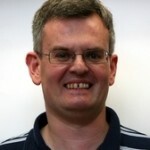 Terry Dickerson is the Industrial Liaison Manager for the Cambridge University Engineering Design Centre. He achieved his PHD in Mechanical Engineering at the University of Nottingham in 1990. He runs the EDC theme which looks at process design. Warren Kerley is a research associate in Engineering Design Centre and is working on service redesign and implementation within the Old Age and End of Life Theme. Warren has a bachelor’s degree and PhD from the Cambridge University Engineering Department and an MBA from Manchester Business School. He has also worked for more than ten years outside of academia as a management consultant and programme manager specialising in IT systems design and project management. Warren’s research interests are the modelling and management of complex, knowledge-intensive processes and projects in manufacturing and service organisations. Immediately prior to joining the CLAHRC, Warren was doing research with Rolls-Royce, Civil Aerospace into how discrete event simulation can be used to model, and hence help improve, the early stages of the jet engine design process. Alexander originally studied at the Kwame Nkrumah University of Science and Technology in Ghana obtaining both a Diploma in Mechanical Engineering and B.Sc. Mechanical Engineering. He then Studied at Brunel University to complete his M.Sc. in Advanced Manufacturing Systems. 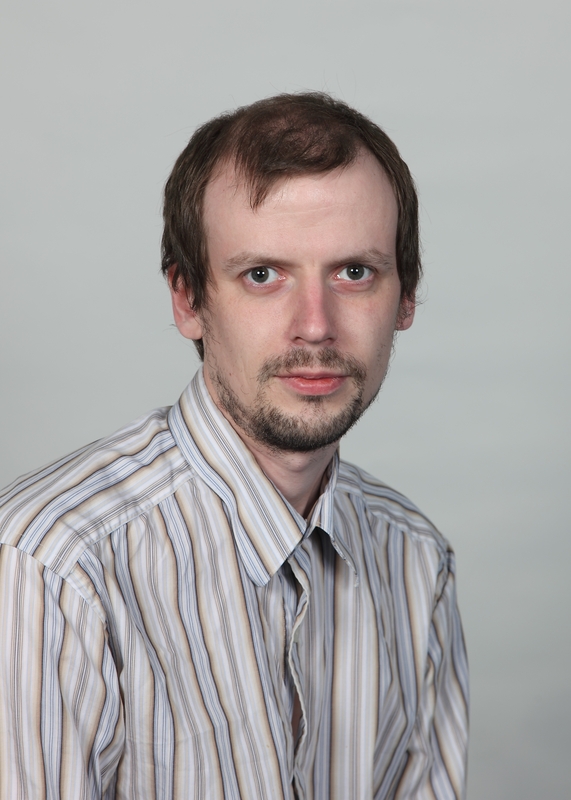 Alexander then joined the EDC in December 2009 after completing his PhD in Brunel University, UK. His PhD, “Information-Theoretic and Stochastic Methods for Managing the Quality of Service and Satisfaction in Healthcare Systems” proposed the “E-Track NHS” system which looked at the application of real-time Discrete Event Simulation for improving healthcare system performance. He therefore has a keen interest in the use of the systems approach and particularly the modelling and simulation of healthcare systems. Ann Langley is Professor of Strategic Management and Research methods at HEC Montreal, Canada and Director of PhD. and MSc programs. From 1985-2000, she was a faculty member of Universite du Quebec a Montreal. She obtained her undergraduate and masters degrees in the UK and her PhD in administration at HEC in 1987 after working for several years as an analyst both in the private sector (Mars Ltd, UK) and in the public sector (health systems consultant). Her early research was inspired by these work experiences, and dealt with the role of analysis in organizations. Since then, she has pursued her interest in strategic management processes, focusing particularly on complex organizations with multiple goals and ambigious authority. 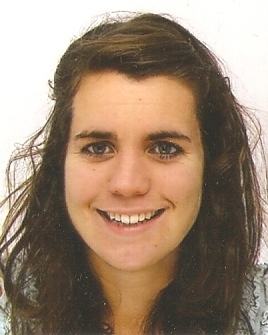 Cecily Morrison is a researcher on the CLAHRC project in the Engineering Design Centre. Her work focuses on designing the interaction between people through observing and working in collaboration with those designing and deploying IT systems, information artefacts or service provision. Her previous Education includes: BA Anthropology (Barnard College, Columbia University 2002),Graduate Diploma Computer Science (Univeristy of Cambridge, 2006), PhD Computer Science (University of Cambridge, 2009). James completed his degree in manufacturing engineering in 1996. He has worked as a designer for Cambridge Consultants Ltd. in the UK and Sofraco Engineering, in Australia. His PhD focused on the design verification process for medical devices – how should they be verified, what parts should be verified and when in the design process? This research led to the publication of the workbook mentioned above. Since then his research has focused on working with the NHS to investigate how design-thinking can assist health care practitioners in their care of patients. He now manages the Healthcare Group in the EDC, and co-supervises three PhD students. James received Chartered Engineer status in 2006. James’ research involves applying the learning from fields such as engineering and ergonomics to the National Health Service (NHS), with a view to enhancing quality and particularly patient safety. ,through designing not just products, but environments, information and systems. Angela holds a masters degree from Harvard University in Technology, Innovation and Education, and a masters in Information and Communication Technologies. Angela has also worked for the Veterans Health Administration, where she evaluated and re-designed an interactive online program that aimed at creating an online community of practice for VHA psychologists. Also, on a project of the NASA Biomedical Research Institute, she assisted with the research and development of software-based training material for astronauts on conflict management and mental health management. She is currently a doctoral candidate at Cambridge Judge Business School, specialising in Operations, Information and Technology. Her current research is about: The Contribution of Open Source Software to Knowledge Sharing and Organisational Change in Healthcare. Michael Barrett is a Professor of Information Systems & Innovation Studies at the Judge Business School. Michael has worked closely in research and executive education for a number of organisations, including BT, IBM, HP, PricewaterhouseCoopers, Coventry Building Society, Shell Exploration, and the World Health Organisation. He has previously worked as an industrial engineer for Colgate Palmolive and in consulting and business develpoment with Oracle Canada. 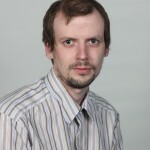 He is an Associate Editor of MIS Quaterly, Information Systems Research and a member of the Editorial Board of Organisation Science, Information Systems Research and the Journal of the Association of Information Systems. He has contributed to articles in The Economist, The Times and The Financial Post. Michael has also served as an external assessor at Oxford University, the London School of Economics, and the Open University. BA (Keele Univ. ), MA (Univ. of Cambridge), FIPH, FCGI, Hon DSc (Keele Univ. ), CIM, DBE “in recognition of her contribution to higher education and management research”.Sandra was Master of Sidney Sussex College, Cambridge University, KPMG. She is Professor of Management Studies and former director of the Judge Business School from 1999 to 2009. 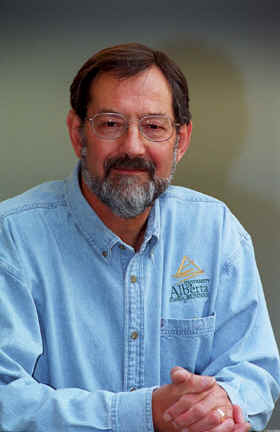 Bob Hinings is a Professor Emeritus at the University of Alberta. He is a Fellow of the Royal Society of Canada, a Fellow of the US Academy of Management and an Honorary Member of the European Group for Organization Studies. He has carried out long-term research on the restructuring of healthcare in Canada and was a Board Member of SEARCH Canada, a healthcare knowledge transfer organisation. Bob is working on knowledge exchange and service innovation with Dr Michael Barrett and Dr Eivor Oborn. Aris is a Doctoral Candidate at the University of Cambridge, Judge Business School. He holds a BSc in Economics, and Masters Degrees from the University of Warwick, and the University of Cambridge. He previously worked as a social sciences researcher at Hewlett Packard Labs. His research interests include the anthropology of public policy, post-bureaucratic and third sector organization, affect and subjectivity, innovation, space and the politics of emergence. His PhD research focuses on Patient and Public Involvement (PPI) policy implementation across various areas of the English NHS (such as stroke, cancer and mental health services). It uses combined interpretive and ethnographic methods to study the impact of service user choice in changing healthcare delivery and governance. Aris is currently working on a comparative study of user involvement practices at the Cambridgeshire and Peterborough Foundation Trust, and across the 9 National Institute for Health Research CLAHRCs. BA (Hons) Washburn University, MA University of Tulsa, MPhil Cambridge. A doctoral student at Downing College, Cambridge University, Blaine studies organizational behavior, with specific interests in psychological assessment, personality psychology, and social networks. He is particularly interested in how individual differences explain the positions that actors occupy in their social networks; the role of emotions in judgment and decision processes; knowledge sharing and social networks in the health care sector. He has a background in industrial and organizational psychology, which includes professional experience as a consulting associate for Hogan Assessment Systems, a U.S. consulting firm and test publisher specializing in personality assessment. As an undergraduate, he won Washburn University’s Anderson Scholarship for Academic Achievement and an Allyn and Bacon Award from the American Psychological Association for Outstanding Empirical Research. Eivor Oborn is a Professor of Knowledge and Health Organisations at Warwick Business School. She received her PhD in 2007 from Cambridge Judge Business School, where she is now a Research Fellow, working closely with Sandra Dawson and Michael Barrett on a number of research projects. She is co-lead on the implementation theme of the CLAHRC research project. Eivor is also a Lecturer in Public Management and Organisations at Royal Holloway University of London and is an honorary research associate in the Medical Faculty at Imperial College London, working in association with Lord Darzi on health reform. Her research interests include organisational change, knowledge translation, multidisciplinary collaboration, health policy reform and service innovation. She has published work related to multidisciplinary collaboration, multidisciplinary decision making, and policy entrepreneurship in a number of peer reviewed chapters and journals including Human Relations, Public Administration, British Journal of Management and Journal of Health Service Research and Practice. Stefan is an associate editor of Operations Research and Mathematics of Operations Research, and was previously associate editor of the SIAM Journal on Optimization and the IMA Journal of Numerical Analysis.Stefan has taught operations research at the University of Karlsruhe in Germany and in Cambridge’s Engineering Department, where he retains a courtesy faculty position. Prior to his appointment to the Gillings Chair of Health Management, he was Professor of Management Science at Cambridge Judge Business School. He has held visiting positions at Stanford, MIT and London Business School and has spent a six-month sabbatical with Cambridge University Hospitals NHS Foundation Trust. Rene holds a magister degree from the Vienna University of Economics and Business Administration in International Business Administration and an MPhil degree from the University of Cambridge in Innovation, Strategy & Organisation. His main research focus is on inter-organisational information exchange and power dynamics. In the past Rene worked for a number of organisations within the management consulting and broader services sector, recently having managed a team of analysts and researchers within Thomson Reuters’ Corporate Advisory Services division. Markos Zachariadis joined Judge Business School – University of Cambridge in 2010 as a Research Associate, working closely with Professor Michael Barrett and Dr Eivor Oborn at the Operations, Information & Technology subject group. At the CLAHRC his main research focus has been on the diffusion of healthcare innovation through knowledge exchange and multidisciplinary teams. Markos holds a PhD on the Diffusion and Economics of Innovation, and an MSc on Information Systems and Innovation both from the London School of Economics. Prior to joining Judge Business School, Markos was a Research Assistant at the Centre for Economic Performance (LSE), and has held visiting appointments at JBS (2009) and London Business School (2011). In the past he has worked as a business analyst and consultant for a number of organisations, including Hewlett Packard, UBS Investment Bank and Cobalt Tree Capital, in Greece, Spain and the UK. Professor Carol Brayne is an epidemiologist and public health physician. Her research programme includes research into dementia, healthy ageing and neuropsychiatric epidemiology. The research is multidisciplinary and the Cambridge team straddles the Department of Public health and Primary Care and the MRC Biostatics Unit (Led by Dr Fiona Matthews). The MRC study of Cognitive Function and Ageing (CFAS) constitutes a major part of the research of this group. Ageing of the global population will be an area of policy interest for many decades as the numbers of old-old individuals increases dramatically. 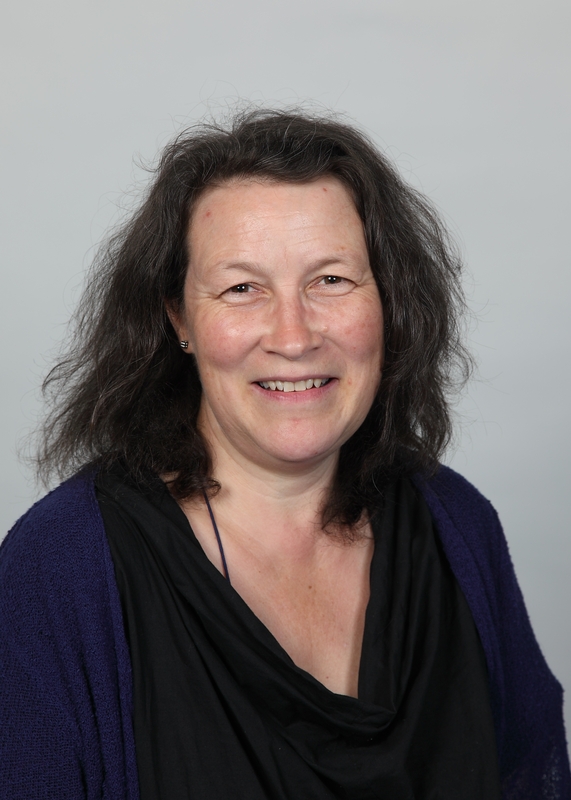 Dr Christine Hill is Consultant in Public Health Medicine in the Cambridgeshire and Peterborough CLAHRC; based at the Cambridge Institute of Public Health (CIPH) with Professor Carol Brayne’s research team. Christine has worked in clinical medicine and in healthcare management at executive director level in the acute hospitals sector. Christine’s special interests include translation of research into policy and practice, health policy and management, and screening in disease prevention. Christine holds Masters degrees in Business Administration, Law (in Legal Aspects of Medical Practice), Public Health, and is a Fellow of the Faculty of Public Health of the Royal College of Physicians. 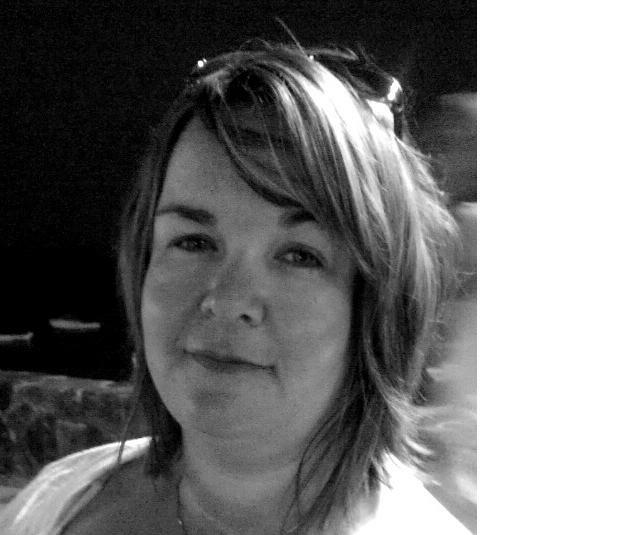 Dr Louise Lafortune is a Senior Research Associate in the Public Health Theme. She has a background in Neurosciences, Public Health and Aging, and nine years of industry experience in clinical trial, health economics and outcomes research. Her research interests encompass the development, evaluation and implementation of innovative methods and service delivery models aimed at improving care for individuals with complex health and social care needs, namely frail older people. Concerned with the practical application of research findings for patient benefits, her responsibilities include knowledge synthesis, public health analysis and evaluation of changes in services configuration and delivery resulting from the use of research. 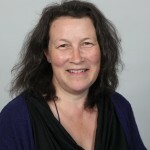 Frances Cater – CLAHRC Public Health and Old Age theme secretary. Frances role involves supporting both themes with arranging meetings and conferences, workshops, processing expenses claims, and other administrative issues. She previously worked in the Department of Public Health and Primary care and has been in the University of Cambridge for almost 10 years. Jane joined the University of Cambridge’s Department of Public Health and Primary Care in 2000 for training in epidemiology and statistics from a clinical and research background primarily in nursing older people, osteoporosis and fracture prevention. She is a study co-ordinator for the Cambridge City over-75s Cohort (CC75C) study, and during her health services research doctorate she expanded the CC75C study’s focus to include a prospective study of falls amongst over-90-year-olds. She has since been leading a project combining qualitative and quantitative methodologies to examine end-of-life care issues from the perspective of very old people and their carers in collaboration with colleagues in the General Practice and Primary Care Research Unit. As a CLAHRC Old Age Theme senior research associate she is involved in a variety of research, research dissemination and service evaluation projects relating to quality of life, mobility, disability and activity, complex care needs, dementia and end of life care in older old age. Caroline Lee is a Research Associate in the Public Health Theme (Institute of Public Health, University of Cambridge) with responsibility for public health policy analysis and coordination within CLAHRC-CP. Her role will support the public health CLAHRC team in integrating research findings into public health policy, working with public health and other key stakeholders within the region. Caroline’s has over ten years experience undertaking Social Policy Research and Analysis in a range of settings (including ECORYS research and consulting, MORI, and the University of Oxford), designing, managing and undertaking research into projects and programmes tackling social disadvantage at the local, national and international levels. 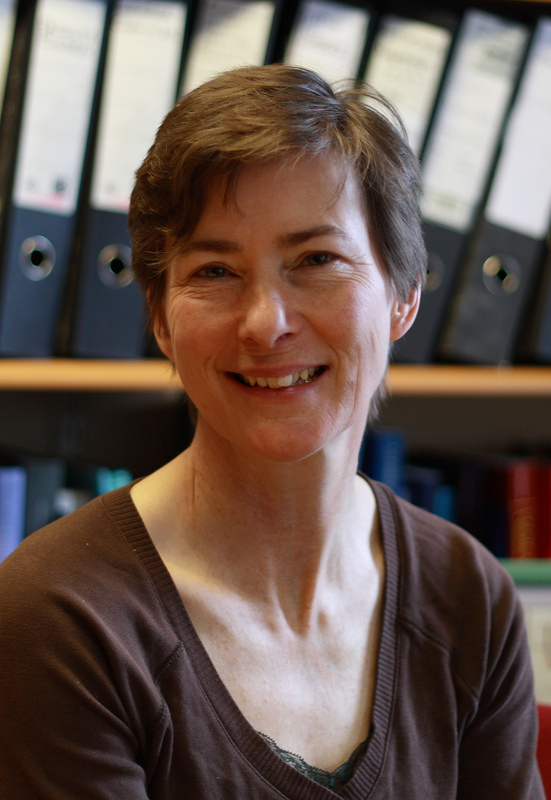 Fiona has worked in the Medical Research Council Biostatistics Unit in Cambridge since 1997, initially as the study statistician for the Medical Research Council (MRC) Cognitive Function and Ageing Study (CFAS). She is now the principal statistician for that study, but also a programme leader within the Biostatistics Unit on statistical aspects of ageing epidemiology. FIona is also a fellow and an elected council member of the Royal Statistical Society. Her research programme covers the statistical investigation of healthy ageing, mild cognitive impairment, cognitive decline and dementia with special emphasis on missing data analysis and the use of Markov Chain modelling. Her research programme aims are to contribute directly to estimates of various aspects of the health of the ageing population using statistical methods that not only investigate mortality and morbidity, but are rigorous and unbiased in the presence of missing data. 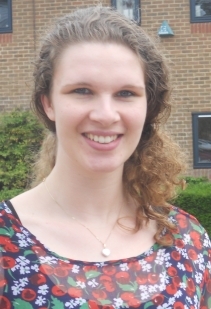 Rianne is a PhD student at the Department of Public Health and Primary Care in Cambridge, funded by the NIHR CLAHRC for Cambridgeshire and Peterborough. She started her project in October 2010 under supervision of Professor Carol Brayne and Dr. Tom Dening. Rianne studies the course, causes and impact of Behavioural and Psychological Symptoms of Dementia in the older population. She uses mainly population-based cohort studies, including the Medical Research Council Cognitive Function and Ageing Study (MRC CFAS). In 2009 Rianne completed her MSc in Epidemiology (Biomedical Sciences) at the Radboud University Nijmegen in The Netherlands. Alison is responsible for evaluating the effectiveness of psychological therapies and the efficiencies of changes in mental health service delivery resulting from the implementation of the IAPT programme across the East of England. 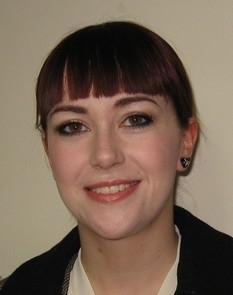 Since graduating in 2001 with a MSc in Forensic Psychology, Alison has worked as a Researcher & Analyst for the Police Service, Fire Service and Local Authority providing strategic guidance to senior officers and partnership managers on the allocation of resources to reduce crime and disorder. Alison then became the Police Authority Lead in Communications, working closely with the Home Office and Association of Police Authorities to secure public and stakeholder engagement. Immediately prior to joining the CLAHRC, Alison worked as an Assistant Psychologist in a low-secure Mental Health Unit specialising in child protection referrals and delivering rehabilitation programmes to community and in-patients. She also worked as an Advocate with Young Offenders providing support to people under the age of 18 years who had either been charged with an offence or had been identified as ‘at risk’ of committing an offence. Steven joined the CLARHC in September 2012 after working in the NHS. His background is in Public Health and Primary Care. Steven’s research interests include the social application of complexity theory, research methods, evidence evaluation and synthesis. He is involved in a variety of research and evaluation projects relating to dementia. James is a psychiatric epidemiologist interested in the causes of schizophrenia and other major psychotic disorders from an environmental perspective. He is particularly interested in the interplay between genes and environment to lead to the onset of psychosis via disruption of neurobiological pathways. His current research involves investigating the incidence of psychotic disorders in East Anglia – an area with marked variation in deprivation, immigration and urbanicity. Matthew is a doctoral student at Pembroke College, Cambridge University, where he is researching the relationship between anxiety, depression and health services in later life under the supervision of Prof. Carol Brayne and Dr. Tom Dening. He is based in the Department of Public Health and Primary Care, and he belongs to both Public Health & Old Age CLAHRC themes. 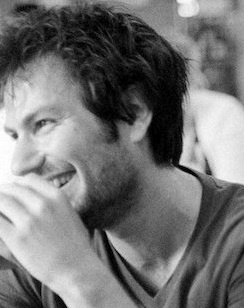 Matthew is particularly interested in large epidemiological studies investigating mental health in older age, and he has been involved in several projects using national and international cohorts such as the UK MRC Cognitive Function and Ageing Studies (CFAS), the Australian Longitudinal Assessment of Ageing in Women (LAW) Study, the Longitudinal Aging Study Amsterdam (LASA) and the 10/66. Leisha is currently working with Dr Jane Fleming, developing feasibility studies to explore using the OTAGO Exercise Programme in community‑based settings for people living with dementia and carers. Leisha has previous research experience gained from a variety of environments including the NHS and the pharmaceutical industry, was formerly as a healthcare assistant and activities co-ordinator with older adults in residential and community environments and has personal experience of dementia in her family. Leisha graduated from the University of North London in 2001 with a BSc Honours in Biological Science. As part of this degree she completed a year placement at Imperial University, undertaking laboratory-based research into the resistance of post‑surgical heparin treatment in vascular smooth muscle. Marina is currently scoping work into understanding emergency care in the community for people with dementia with a particular focus on use of emergency ambulance services. Marina has both a research background and experience working in the NHS. She has worked in PCTs in health promotion (as a stop smoking facilitator) and then commissioning information. Her PhD (2001, Cambridge) is in organic chemistry and from there she moved to work at the Commission for Health Improvement on clinical governance reviews, investigations and evaluating the CHD National Service Framework. Her research interests developed through studying part-time for a Masters in Public Health (Kings, 2006) and she carried out a qualitative evaluation of a school-based stop smoking pilot project for the MPH dissertation. During her most recent career break/maternity leave she studied for and passed the Part A Membership Exam of the Faculty of Public Health. She is married to Mark, they have three lively boys and live in Ware, Herts.